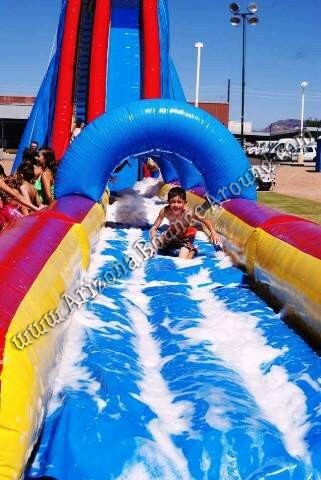 Our new 40' tall water slide is super tall, super fast and super long at 136 feet and will be sure to thrill at any party or event. 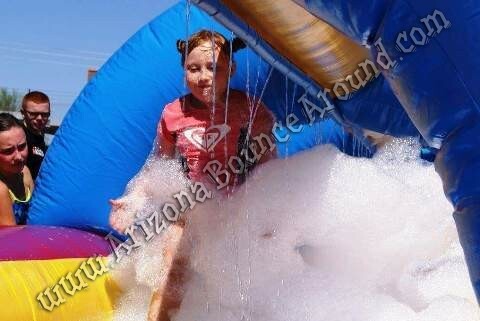 We can add a foam machine to the bottom slip and slide area for a really exciting experience. 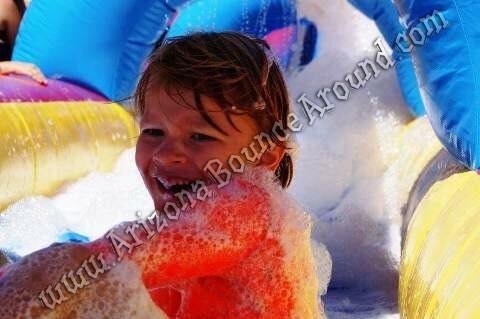 Imagine going down the slide and blasting thru a mountain of foam at the bottom. 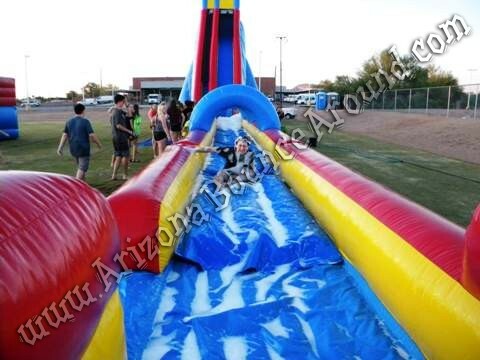 The widest part of this slide is in the rear so we need at least 40 feet for the slide and stabilizer ropes and then it narrows down as you can see from the photos. 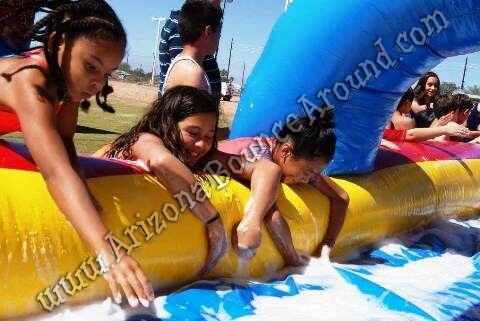 Gravity Play Events is the leader in big water slide events and festivals in Colorado, California, Utah, Nevada and New Mexico. 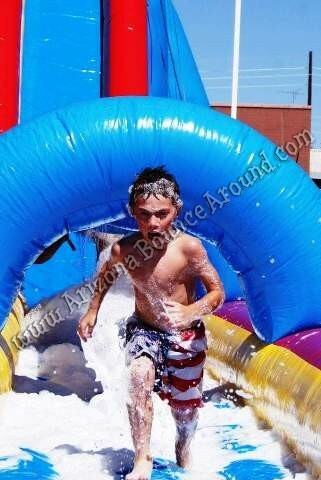 We have the best selection of big water slides for kids and adults so call, click or come by today.